Scotland’s future mental health nurses will need to broaden their skills as austerity, poverty and an ageing population create “unprecedented” demand for services, a Dundee academic has said. Dr Kate Smith, head of Abertay University’s Division of Mental Health Nursing and Counselling, has backed a call from Health Secretary Jeane Freeman MSP to upskill mental health nurses. She advised there should also be a greater focus on increasing the workforce’s ability to cope with challenging scenarios. Dr Smith added some reports have cited social media as having a negative effect on the younger generation. Her comments come amid an independent review into mental health provision in Tayside, following a campaign by people who blame care standards at the Carseview Psychiatric Centre for a series of suicides and other incidents. Jeane Freeman MSP has said nurses could help plug gaps in NHS Tayside’s mental health services as the sector faces a worldwide shortage of trained staff. Dr Smith explained: “Today’s mental health nurses are increasingly experiencing challenging and complex cases, and we need to ensure that they are adequately prepared for this. “The Health Secretary is absolutely right to say that upskilling nurses can alleviate some of the current strain on the system, but it is also important to recognise that times are changing and the demands on those on the frontline are changing with them. Speaking after NHS Tayside’s annual review at Ninewells Hospital, Ms Freeman said a global shortage of consultant psychiatrists is making it harder for health boards to fill vacancies. She said ensuring nurses are properly trained could help alleviate strain on the system. 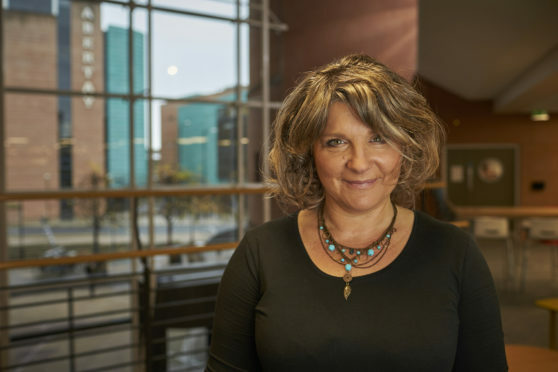 Next year, Abertay University will launch a new BSc Hons Mental Health Nursing degree designed to enhance the therapeutic relationships that mental health nurses build with their patients, as well as personal resilience. Later this year, Abertay will also launch a range of shorter CPD courses aimed directly at upskilling existing mental health professionals. Dr Smith said: “There are a number of initiatives under way to improve mental health services, both locally and across Scotland.